Saint Augustine Lawn Care shares simple lawn care tips for owners of Saint Augustine grass lawns, to help every lawn become a beautiful lawn. A nice home lawn often only requires a little extra reading and a few basic changes to our lawn care practices. Saint Augustine Lawn Care has a wide variety of lawn care tips which can help us to look upon our daily lawn care practices differently, to help us make small changes which may increase our overall lawn health throughout every year and season. We all face lawn problems of one kind or another every now and again. No matter if it be lawn damage, weeds, pests or lawn disease, we want to solve these issues quickly to restore our lawns to their full health and vigor. It can be easy for many of us to put too much effort and expense into our lawn care practices while in our search for a beautiful lawn. However, sometimes less care is often better care as we allow our lawns to better care for themselves. Vertimowing is one term used to describe the de-thatching process for lawns. The process is designed to remove the old dead layer of thatch from lawns, so that the lawn can regenerate itself while controlling the build up of thatch at its base. Hello. Welcome to Saint Augustine Lawn Care. 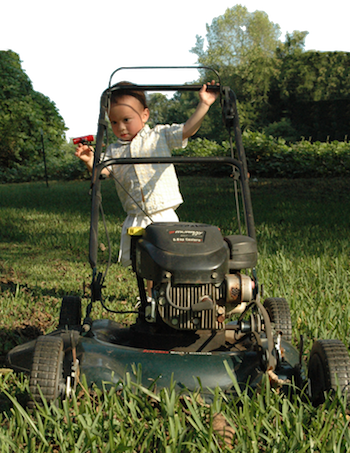 Saint Augustine Lawn Care shares lawn care tips on how to maintain healthy green lawns. Having a healthy Saint Augustine lawn is often not as difficult as many may believe, and most lawns can be improved with basic knowledge of lawn care practices, many of which can be surprisingly simple. It's our hope to share some of these lawn care practices, as learned through many years of experience in lawn care, as well as other personal study, with lawn care tips specifically suited to Saint Augustine grass lawns. Good lawn care practices involve looking at all aspects of how our lawns are growing, what they need for optimum health, how to recognize and treat lawn problems such as lawn disease, lawn bugs and lawn weeds, how to mow lawns properly, fixing lawn soils and damaged lawns, as well as general information on Saint Augustine lawns and how to best look after them. Thanks for stopping by, and best of luck with your own Saint Augustine lawn, hopefully there may be some good lawn care tips here that may be able to assist to have your own beautiful lawn.